Sixty of the world’s space agencies have come together for the first time to collectively monitor human-induced greenhouse gas emissions. Brought together by the Indian Space Research Organisation (ISRO) and the French Space Agency (CNES) in New Delhi on April 3, the countries agreed to establish “an independent, international system” to collate data from their satellites. The declaration came into effect on May 16, 2016. 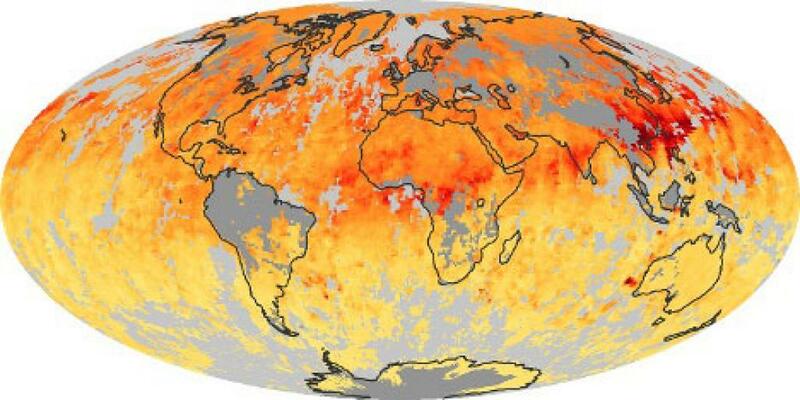 Out of 50 essential climate variables being monitored today, 26 of them can be measured only from space—aerosols (particles from natural sources and human activities), ocean surface temperature, rising sea level, sea ice extent, glaciers, cloud structure and greenhouse gas concentrations in all layers of the atmosphere. Japan's GoSat and the US OCO-2 satellites are in orbit measuring carbon emissions. China is developing its own TanSat and France is working on the MicroCarb satellite to survey CO2 emissions. By linking countries’ satellites to track emissions and record information, a combination of comparative data will be formulated over time. It is a transition towards closely coordinated and easily accessible “big space data”, ISRO said. The COP21 climate conference and the Paris agreement have driven nations to seek international cooperation on climate action. “With this consensus among space agencies from more than 60 nations, including the world’s leading space powers, the international space community and scientists, now have the tools they need to put their talent, intelligence and optimism to work for the good of humankind and our planet,” said CNES President Jean-Yves Le Gall.